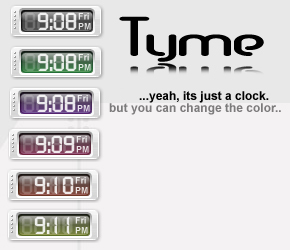 A Simple color changable digiclock with a simple and clean interfce able to match any desktop. Thanks for _martin_ for the script! Thanks Boss, Glad you like it! Very nice job with this clock! Clean design and I like the color changing ability. Thanks for sharing! Nice... was having a problem, but it appears to be with RightClick menus, not this widget. Tight little clock. Nicely done. thanks for all the feedback, I appreciate it! ..yeah, it's just a clock..
Make one that shows the right time in Norway! When the clock is 10:20 were you live, its 22:20 here!